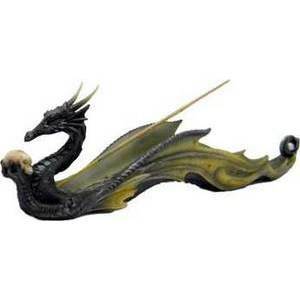 A unique stick incense burner featuring a dragon gazing into a human skull with the stick extending over its back and between its wings. Made of cold cast resin. 12" x 3 1/2"